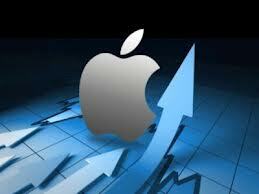 The recently concluded lawsuit in which Apple emerged victorious has had a positive effect on its shares. The shares witnessed a significant boost in the prices and this seems to be good news for Apple, especially considering that its latest product, the iPhone 5 will be released in the coming weeks. This will mean that Apple shares will see a significant bull run to their fortunes but it is still too early to write off a big company like Samsung. If you are planning to sell of the shares while they can fetch some money, experts suggest that you wait it out as Samsung will most likely bounce back in the coming months. As expected, Samsung’s share values dropped as they were the losers of the lawsuit. Although this was an unexpected development, Samsung should not be overly affected by this reduction as prices as there are a whole new series of products lined up for release. So you might want to avoid panicking and selling off Samsung shares while they are still hot. Stocks rallied in Europe as the DAX registered a healthy gain. The value climbed by 1.1% and the final value was 7074. The same trend was also noticed at CAC40 as the share advanced by 0.9% and the final value was at 3463. Although the markets in the United Kingdom were closed because of a holiday, share values did rally around the earlier rates. We might see a reaction in the European markets once the UK market also opens as the UK market plays a very significant role in affecting the fortunes of the whole European stocks trading scene. Another beneficiary of this lawsuit was Nokia and this was completely unexpected. The share values of Nokia increased by almost 5.5% and this was a very surprising reaction by the market that left investors baffled. Many investors looked to take advantage of this bullish trend and there was an increase in the volume of Nokia shares traded. Nokia seems to have established an indirect relationship with Samsung and its shares. The share values of Nokia seem to vary inversely with the values of Samsung and the trend is likely to continue for the coming months also. If you have been holding off any Nokia shares, now will be a good time to sell them off as experts feel that the future does not look good for the company. This reaction is only temporary until Samsung makes an concentrated effort to shore up its stock prices.